Your car is one of your most valuable possessions. It is important to entrust it to a professional, experienced and expert repair shop, especially after an accident. Auto collision repairs can involve different processes and techniques, depending on the type of collision and the extent of the damage - meaning the work done on your car can be quite comprehensive. It is therefore essential to have a warranty on all repairs performed on your car. CARSTAR Waupaca, WI stands behind their work and offers a 5 year nationwide warranty. We know how stressful vehicle repair can be and we want to give you peace of mind. Learn more about our auto collision repair and warranty offer here or by contacting our Auto Body Services in Waupaca, WI. Although the name may seem pretty self explanatory, when repairing a vehicle after an accident, there is much more to a proper auto collision repair process. First, it should start long before your car is being worked on - it should start the moment you call in the accident. Arranging for a tow service, liaising with your insurance, assisting with car rentals; these are all things your chosen auto collision repair shop should be helping you with. Once you and your car have safely arrived at the shop, the process starts with an extensive damage assessment, which can sometimes mean vehicle disassembly to find any hidden damage early on. Structural and body repairs are the next step of the process, followed by paint and refinish. Even then the process is not complete, as expert QAs need to run quality inspections to make sure your vehicle is returned to you in perfect shape. Learn more about how auto collision repair works by contacting CARSTAR #15335 in Waupaca, WI. 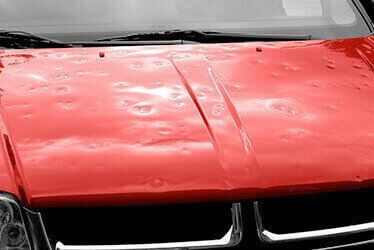 From 24/7 assistance and fleet services to hail damage and paintless dent repairs, there are many and various services that CARSTAR CARSTAR #15335 in Waupaca, WI provides. Our goal is to provide you with an auto body center that you can turn to. whatever your needs may be, so you know at any time and in any circumstance that your vehicle is in good hands. Our 24/7 assistance service includes everything from tow services to car rental arrangements, as well as dealing with all paperwork and walking you through the process step by step. Our fleet services will keep your cars on the road longer with lower costs, while our hail damage repair services will put that nasty storm behind you.